Your next road trip will be a blast in the 2019 Land Rover Discovery. This popular seven-passenger SUV is available with a unique upgrade package that's designed to keep your rear passengers happy no matter how long your drive may be. You can get the Discovery with the Rear Seat Entertainment system. It includes two 8-inch screens that are built into the headrest of the driver and front passenger seats. The screens are vibrant and clear. To ensure that front passengers don't have to listen to the media being played in the back, Land Rover is including digital wireless headphones from WhiteFire. The system also has HDMI connections, USB connections, and a Mobile Hi-Definition Link. 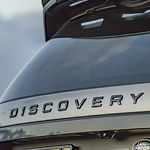 See how the 2019 Land Rover Discovery can change the way you and your family travels by visiting us at Land Rover Fox Valley. We're excited to give you a tour of our showroom in Appleton.